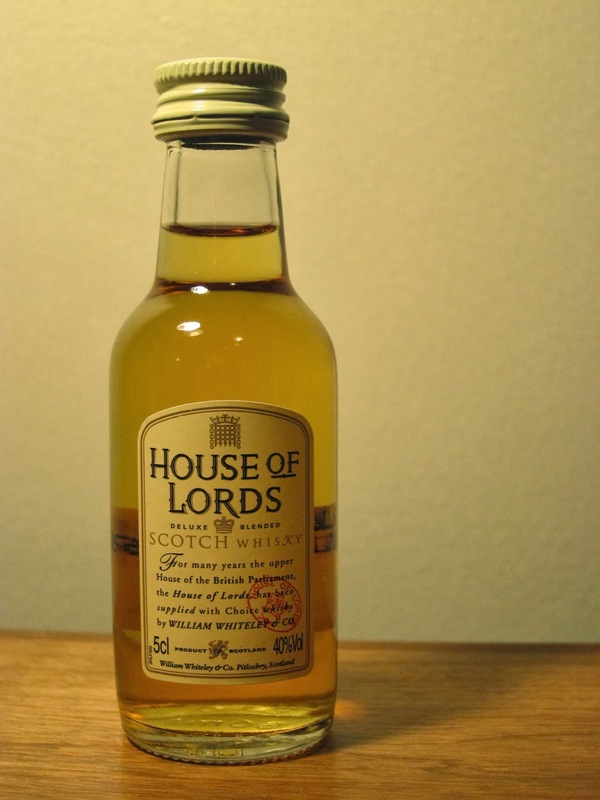 House of Lords (40.0%): House of Lords is blended by William Whiteley & Co. There wasn't any detailed info I could reach online: no website, no reviews, only a few online retailers carrying the whisky. All I could find was that the blend used to have Edradour malts back in the days but according to Master of Malt now it contains mostly whisky sourced from Isle of Arran Distillery. Pretty interesting, kind of a mystery dram... Color: Clear and light amber. Nose: Glossy celebrity gossip magazines you can find just before you check out in your neighborhood supermarket. Brown sugar, furniture polish and tung oil. Cheap sultana cookies, cold pear compote and the way the streets would smell like after heavy rain. Palate: Young malt whisky, lemon juice and ripe quince slices. Roasted unsalted almonds, a little sea salt and baked apples. Finish: Longer than I expected with young alcohol burn, dry grass and clay soil. Overall: I didn't get serious offensive notes from this whisky but I don't think I will remember anything tomorrow either. I wouldn't refuse it when offered but also wouldn't order if I have other options. To be honest it tasted a little like a cheaper and younger version of Bailie Nicol Jarvie blend. Grassy, citrusy, young and vibrant. A little summery, cheap and would pair pretty good with a pint of blonde ale. Like I said, don't refuse it when offered but not worth to buy a bottle... Thanks to Stephen Mathis for the sample.